This beautiful Mt. Vernon home in lovely Riverside Estates is a gem! Meticulously maintained, and great curb appeal. 4 BR, 2 1/2 Baths. Open floor plan on main level. Bright living room with bay window. Beautifully remodeled kitchen with lovely cabinets, SS appliances, granite counters, under cabinet lighting, built-in microwave, tiled backsplash, gas stove. Sliding glass doors off dining room to 2-tiered slate patio - great for relaxing and entertaining. Hardwood floors under carpet on main and upper levels. Cozy fam rm on lower level. Double pane windows. 6 panel doors. Double wide concrete driveway. Fenced backyard, nicely landscaped. Irrigation system. Quiet cul de sac. Great location, near Ft. Belvoir, Old Town Alexandria, and 2 miles to George Washington Parkway for scenic commute along the Potomac River to Old Town, National Airport, and D.C. Directions:From Old town Alex: south on GW Parkway to Mt. Vernon Estate, right on Rt 235, right on second Battersea, left on Cherry Valley, right on Blowing Rock 8323 on left. From Fort Belvoir: north on Rt 1, right on Rt. 235, left on Battersea, left on Cherry Valley, right on Blowing Rock 8323 on left. SchoolsClick map icons below to view information for schools near 8323 Blowing Rock Rd Alexandria, VA 22309. Home for sale at 8323 Blowing Rock Rd Alexandria, VA 22309. Description: The home at 8323 Blowing Rock Rd Alexandria, VA 22309 with the MLS Number VAFX820890 is currently listed at $515,000 and has been on the Alexandria market for 83 days. 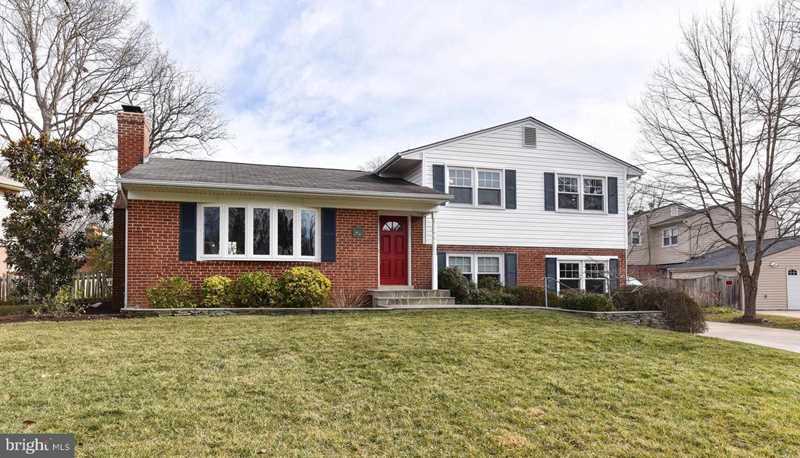 You are viewing the MLS property details of the home for sale at 8323 Blowing Rock Rd Alexandria, VA 22309, which is located in the Riverside Estates subdivision, includes 4 bedrooms and 3 bathrooms, and has approximately 2070 sq.ft. of living area.